EU Nordic Battlegroup commander colonel Torbjorn Larsson meets the Irish ISTAR task force commander, Lt Col Paul Carey. Citing hostile Russia-USA relations, a rising force in China and irregular migration on Europe’s borders, French President Emmanuel Macron has expressed support for a “true European army”; an idea backed by German Chancellor Angela Merkel in a November 2018 address to MEP’s in Strasbourg. eolas assesses calls for enhanced security cooperation in the context of an evolving Common Security and Defence Policy (CSDP). The aims of the CFSP broadly fall under defence diplomacy, whereby military resources are peacefully deployed, often in aid of humanitarian or diplomatic operations. Indeed, whilst the EU has historically exercised some military power by policing treaties and implementing peacekeeping operations, the current CFSP continues to see the North Atlantic Treaty Organisation (NATO) as the body responsible for the defence of European territory. The unique relationship between EU forces and those of NATO were first encapsulated in a 1999 European summit in Helsinki, where the objectives and functions of the forces were described as “separable but not separate”. 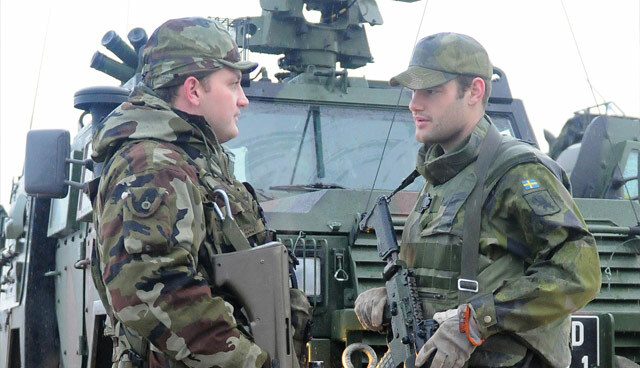 Soldiers of the Irish and Swedish militaries liaise as part of the EU’s Nordic Battle Group. Calls for an EU army have been vague and largely open to interpretation, with public statements from French and German leaders offering no concrete suggestions around establishing an overarching European military. However, enhanced cooperation between member states has been progressed steadily since 2003, with 34 joint missions completed via the Common Security and Defence Policy. This cooperation was further bolstered with 2009 legislation that was activated in 2017, which saw 25 of the 28 armed forces of Europe operate more closely under a Permanent Structured Cooperation (PESCO) initiative. At present, PESCO initiatives between EU member states represent the most significant level of military cooperation that have been secured thus far. Neutral states, including Austria, Finland, Ireland and Sweden are afforded space to continue a foreign policy of neutrality by following an opt-in, opt-out system. However, concerns have been raised as to how Permanent Structured Cooperation could ultimately affect Ireland’s international standing as a neutral state. 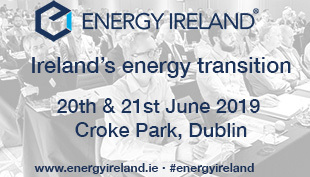 The Irish State’s decision to participate in PESCO was passed in the Dáil by 75 votes to 42, with Taoiseach Leo Varadkar reaffirming that “what we are not going to be doing is buying aircraft carriers and fighter jets”. Denmark, Malta and the United Kingdom have opted out of the voluntary system. The advancement of PESCO has prompted debate over the role of NATO: approximately 80 per cent of PESCO participants are member states of NATO. Formed primarily over doubts over US commitments to NATO, the EU has rejected analysis that suggests it may be in competition with NATO. Indeed, in her address to MEPs in Strasbourg, Angela Merkel insisted that “This is not an army against NATO, it can be a good complement to NATO”. Military force as a “complement” to NATO has also been welcome by NATO secretary general Jens Stoltenberg, who highlighted Military Mobility as a key aspect of NATO-EU cooperation, with NATO viewed as the central guarantor of European defence, whilst PESCO initiatives focus on crisis deployments. A core element of the CSDP has seen the participation of Ireland in EU Battlegroups since January 2007, which fall under the control of the Council of the European Union. Current arrangements see EU battlegroups composed of up to 2,500 officers and soldiers, with Ireland falling within the Nordic Battlegroup. Whilst these groups have yet to see military action, further consolidation of a central European defence identity may see this condition change in the future. Irish participation in European military action may be bolstered following a June 2018 budgetary announcement for 2021-2027 from the European Commission, which proposed to “increase the EU’s strategic autonomy” through a €13 billion European Defence Fund which would provide “financial firepower for cross-border investments in state-of-the-art and fully interoperable technology and equipment in areas such as encrypted software and drone technology”.